With any development project, the number one goal is to make a profit and one of the big stages of any project that can turn your profit into a loss, is the building stage. Below are our Top 7 Money Saving Ideas which will help you limit any budget blowouts on your next project. A number of the areas discussed below are ways to control time, as well as actual expenditure. This is important because in a very real way, time = money… through interest. Every day you extend the project is going to cost you in interest accruals and increase the cost of the project. 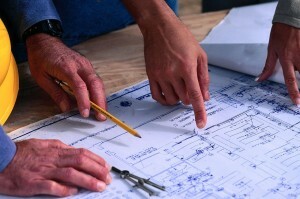 So time is a key element in ensuring that building projects come in on or under budget. What is a ‘Scope of Works’? A SOW is sometimes referred to as a statement of works and is a document that defines the work activities, deliverables and timeline your builder will execute when doing the work you require. In a nutshell, it defines what you want done, when you want it done by and the standard to which it is to be completed. Have everything included that you want in the final product and be as specific as possible. Include important finishing touches, such as allowances for tiling, carpet, light fittings etc. In our recent project completed in Turramurra of two, four bedroom houses, we only went over on our variations by approximately $6500 on a project that was over $1 million. Why so little? We were generous (but not too generous) on our allowances and shopped smart. Go through some display homes and decide on the end product up front. How do you want it to look and feel? This is important because if you change these later, the variations could end up costing you more than they would have if you had these upgrades quoted initially. This could save you literally thousands of dollars, or delays in materials because you don’t specify them earlier. Try to get as much included in your quote as possible for the final stages of the development too. On our recent Turramurra project, mentioned above, the builder included all the costs of landscaping, driveways, decking and timber flooring. This is important as there were no surprises when it came to getting quotes down the track especially when you start to quote driveways and landscaping, as the price was negotiated at the beginning of the building process, not 9-12 months down the track when prices may have increased. If you can decide on the finishes that you would like up front for the kitchen and bathroom you will save thousands of dollars. It’s important to remember that you are working with the builder towards a common goal. The builder obviously needs to make a living and you require the best quality product at a fair price. To achieve a win-win outcome for all, communication and negotiation skills are essential for success and if you have the ‘gift of the gab’, you will develop a strong working relationship with the builder that allows you to progress from this project to the next; comfortable in a relationship that is built on mutual trust and understanding. Have regular site meetings. These meetings include a walk around the project, focussing on any issues involving delays, overages or modifications. You will find problems are identified earlier rather than later and reduce cost blowouts as a result. Set up a clear expectation of how and when your builder is going to be paid. Project milestones are often good payment points. Ensure these are specified in your SOW and use your regular site meetings to inspect work done and have clear sign off on completion at different stages. If you have time-based deadlines, then ensure that there is a mutual understanding of paperwork required to ensure prompt payment. For example, we set up a process with all builders that they need to have their invoice in by the 1st of the month for the previous month and they get their payment by the 10th (as long as it is all approved). Have a clear contact person. This will usually be your builder. If you are on the site frequently, sometimes there can be discussions with tradesmen. Ensure that this information is relayed through your builder/project contact so that points are not missed and miscommunication and misunderstandings are avoided. One of the main reasons that people decide to DIY their construction project is to save money. While initially you may be saving on outlaying costs on labour to coordinate your project, you need to consider if you have the time. Managing tradespeople, managing materials and ensuring on-time delivery and availability of items to specification, ensuring delays are either caught up or costs are mitigated – these are all examples of time-consuming activities that really make you wonder where the months went and your project is still not complete. If you do have the time, ensure that you have a schedule figured up front that you can work to, to avoid possible delays. This can also be a way to work out if you really can put the time into the project to avoid that #1 Profit Killer – Interest Costs. As we said in the beginning of this article, time really is money! How do we reduce the delays and ensure the project runs for the least amount of time possible? Each day that the project is standing still is lost profit – money that should be in your pocket or contributing to the lifestyle you want for yourself and your family. It is key for you to realise up front if you have the time that it takes to keep your site moving along nicely. You will be chasing up everyone, chasing up on quotes, chasing up tradespeople, chasing up banks to get instalment payments due. Do you have the time to be on top of everything throughout the project? Statutory requirements need to be fulfilled during the building process. This is not to say that DIY or owner-builders should not tackle their own projects, nor is it to say that this is an all-or-nothing situation. Some professional project managers will still give you control and just fill in the gaps. Ultimately, the success of your project relies on you. It’s up to you to take control, manage your project and constantly improve your outcomes daily. And that takes planning. If you have a project about to start, why not put together a scope of work and a work schedule so that you know how much work is involved overall. If you don’t know where to start, ask an expert now. Then you decide how deeply you will be involved in your exciting building project. Enjoy! This blog was featured on Smart Property Investor, here.